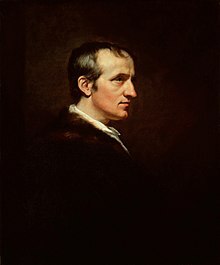 William Godwin (3 March 1756 – 7 April 1836) was an English journalist, political philosopher, educationalist, novelist, historian and biographer. He is considered one of the first exponents of utilitarianism, and the first modern proponent of anarchism. He was the husband of Mary Wollstonecraft, father of Mary Shelley and father-in-law of Percy Bysshe Shelley. Truth is powerful, and, if not instantly, at least by slow degrees, may make good her possession. Gleams of good sense may penetrate through the thickest clouds of error. But we are supposing in the present case that truth is the object of the preceptor. Upon that assumption it would be strange indeed, if he were not able to triumph over corruption and sophistry, with the advantage of being continually at hand, of watching every change and symptom as they may arise, and more especially with the advantage of real voice, of accommodated eloquence, and of living sympathies, over a dead letter. These advantages are sufficient; and, as the true object of education is not to render the pupil the mere copy of his preceptor, it is rather to be rejoiced in, than lamented, that various reading should lead him into new trains of thinking; open to him new mines of science and new incentives to virtue; and perhaps, by a blended and compound effect, produce in him an improvement which was out of the limits of his lessons, and raise him to heights the preceptor never knew. Men may one day feel that they are partakers of a common nature, and that true freedom and perfect equity, like food and air, are pregnant with benefit to every constitution. The political freedom of conscience and of the press, so far from being as it is commonly supposed an extension, is a new case of the limitation of rights and discretion. Conscience and the press ought to be unrestrained, not because men have a right to deviate from the exact line that duty prescribes, but because society, the aggregate of individuals, has no right to assume the prerogative of an infallible judge, and to undertake authoritatively to prescribe to its members in matters of pure speculation. To conceive that compulsion and punishment are the proper means of reformation, is the sentiment of a barbarian; civilisation and science are calculated to explode so ferocious an idea. It was once universally admitted and approved; it is now necessarily upon the decline. Let us here return to the sublime conjecture of Franklin, that “mind will one day become omnipotent over matter.” If over all other matter, why not over the matter of our own bodies? If over matter at ever so great a distance, why not over matter which, however ignorant we may be of the tie that connects it with the thinking principle, we always carry about with us, and which is in all cases the medium of communication between that principle and the external universe? In a word, why may not man be one day immortal? The different cases in which thought modifies the external universe are obvious to all. It is modified by our voluntary thoughts or design. We desire to stretch out our hand, and it is stretched out. We perform a thousand operations of the same species every day, and their familiarity annihilates the wonder. They are not in themselves less wonderful than any of those modifications which we are least accustomed to conceive. — Mind modifies body involuntarily. The Spirit of the Age was never more fully shown than in its treatment of this writer — its love of paradox and change, its dastard submission to prejudice and to the fashion of the day. Five-and twenty years ago he was in the very zenith of a sultry and unwholesome popularity; he blazed as a sun in the firmament of reputation; no one was more talked of, more looked up to, more sought after, and wherever liberty, truth, justice was the theme, his name was not far off. Now he has sunk below the horizon, and enjoys the serene twilight of a doubtful immortality. Mr. Godwin, during his lifetime, has secured to himself the triumphs and the mortifications of an extreme notoriety and of a sort of posthumous fame. His bark, after being tossed in the revolutionary tempest, now raised to heaven by all the fury of popular breath, now almost dashed in pieces, and buried in the quicksands of ignorance, or scorched with the lightning of momentary indignation, at length floats on the calm wave that is to bear it down the stream of time. Mr. Godwin's person is not known, he is not pointed out in the street, his conversation is not courted his opinions are not asked, he is at the head of no cabal, he belongs to no party in the State, he has no train of admirers, no one thinks it worth his while even to traduce and vilify him, he has scarcely friend or foe the world make a point (as Goldsmith used to say) of taking no more notice of him than if such an individual had never existed; he is to all ordinary intents and purposes dead and buried. But the author of Political Justice and of Caleb Wiliams can never die; his name is an abstraction in letters; his works are standard in the history of intellect. What is striking about the population question to our modern eyes is not whether England actually was or was not in danger of petering out as a nation. In retrospect, what is interesting is how harmonious either view of the population problem was with a vision that puts its faith in natural law, reason, and progress. Was the population declining? Then it should be encouraged to grow, as it “naturally” would under the benign auspices of the laws that Adam Smith had shown to be the guiding principles of a free market economy. Was the population growing? All to the good, since everyone agreed that a growing population was a source of national wealth. No matter which way one cut the cake, the result was favorable to an optimistic prognosis for society; or, to put it differently, there was nothing in the population question, as it was understood, to shake men’s faith in their future. Perhaps no one summed up this optimistic outlook so naively and completely as William Godwin. Godwin, a minister and pamphleteer, looked at the heartless world about him and shrank back in dismay. But he looked into the future and what he saw was good. In 1793 he published Political Justice, a book that excoriated the present but gave promise of a distant future in which “there will be no war, no crime, no administration of justice, as it is called, and no government. Besides this there will be no disease, anguish, melancholy, or resentment.” What a wonderful vision! It was, of course, highly subversive, for Godwin’s utopia called for complete equality and for the most thoroughgoing anarchic communism: even the property contract of marriage would be abolished. But in view of the high price of the book (it sold for three guineas) the Privy Council decided not to prosecute the author, and it became the fashion of the day in the aristocratic salons to discuss Mr. Godwin’s daring ideas. It was Godwin, in his Enquiry Concerning Political Justice (2 vols., 1793), who was the first to formulate the political and economical conceptions of anarchism, even though he did not give that name to the ideas developed in his remarkable work. Laws, he wrote, are not a product of the wisdom of our ancestors: they are the product of their passions, their timidity, their jealousies and their ambition. The remedy they offer is worse than the evils they pretend to cure. If and only if all laws and courts were abolished, and the decisions in the arising contests were left to reasonable men chosen for that purpose, real justice would gradually be evolved. As to the state, Godwin frankly claimed its abolition. A society, he wrote, can perfectly well exist without any government: only the communities should be small and perfectly autonomous. Speaking of property, he stated that the rights of every one ‘to every substance capable of contributing to the benefit of a human being’ must be regulated by justice alone: the substance must go ‘to him who most wants it’. His conclusion was communism. Godwin, however, had not the courage to maintain his opinions. He entirely rewrote later on his chapter on property and mitigated his communist views in the second edition of Political Justice (8 vols., 1796). Two other general characteristics of rationalist politics may be observed. They are the politics of perfection, and they are the politics of uniformity; either of these characteristics without the other denotes a different style of politics, the essence of rationalism is their combination. The evanescence of imperfection may be said to be the first item of the creed of the Rationalist. He is not devoid of humility; he can imagine a problem which would remain impervious to the onslaught of his own reason. But what he cannot imagine is politics which do not consist in solving problems, or a political problem of which there is no 'rational' solution at all. Such a problem must be counterfeit. And the 'rational' solution of any problem is, in its nature, the perfect solution. There is no place in his scheme for a 'best in the circumstances', only a place for 'the best'; because the function of reason is precisely to surmount circumstances. Of course, the Rationalist is not always a perfectionist in general, his mind governed in each occasion by a comprehensive Utopia; but invariably he is a perfectionist in detail. And from this politics of perfection springs the politics of uniformity; a scheme which does not recognize: circumstance can have no place for variety. 'There must in the nature of things be one best form of government which all intellects, sufficiently roused from the slumber of savage ignorance, will be irresistibly incited to approve,' writes Godwin. This intrepid Rationalist states in general what a more modest believer might prefer to assert only in detail; but the principle holds — there may not be one universal remedy for all political ills, but the remedy for any particular ill is as universal in its application as it is rational in its conception. If the rational solution for one of the problems of a society has been determined, to permit any relevant part of the society to escape from the solution is, ex hypotkesi, to countenance irrationality. There can be no place for preference that is not rational preference, and all rational preferences necessarily coincide. Political activity is recognized as the imposition of a uniform condition of perfection upon human conduct.